Wilkes’ love for this music and his ability to make it sound fresh, fun, and vital, is obvious in his new solo album Fire Dream, which will be officially released next week. This comes just a scant few months after the Shack Shakers’ most recent album, After You’ve Gone, which I’ll get to later. 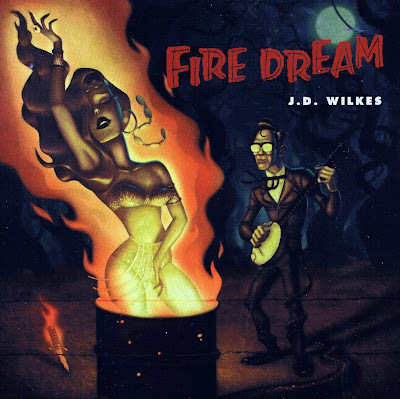 Fire Dream, which was co-produced by Jimbo Mathus, is more eclectic than either the Shakers or The Dirt Daubers, a more country/bluegrass-based group that also featured Wilkes’ ex-wife Jessica. A lot of the songs should sound familiar. There are at least a couple of tunes here — “Hoboes Are My Heroes” and “Bible, Candle and a Skull” — that Wilkes recorded before with the Shack Shakers. “Hoboes” was my favorite song from the Shakers’ 2010 album AgriDustrial. While both versions feature Wilkes’ banjo, the slower new version also has a dreamy violin and clarinet. The new take on “Bible, Candle and a Skull,” which first appeared on Pandelerium (2006), is also a departure from the more rocked-out original. On the solo record, Wilkes’ vocals are deep into the mix while a ghostly, tinkling piano and clarinet play an otherworldly tango. Tom Waits fans might hear some similarities between Wilkes and Waits in some of the tunes here. Their voices aren’t similar at all, but both are fond of Gypsy violins and Eastern European stomps. The song “Fire Dream” has serious echoes of Waits’ “Cemetery Polka.” And try to listen to “Moonbottle” without thinking of “Jockey Full of Bourbon,” I dare you! Meanwhile, “Down in the Hidey Hole” has traces of metal and (might that be?) reggae. And “Starlings, Ky” might be described as lo-fi bluegrass, though the fiddle solo sounds suspiciously Cajun. Fire Dream stands well on its own, but playing it side by side with the recent Legendary Shack Shakers record gives you a fuller glimpse of Wilkes’ artistry. 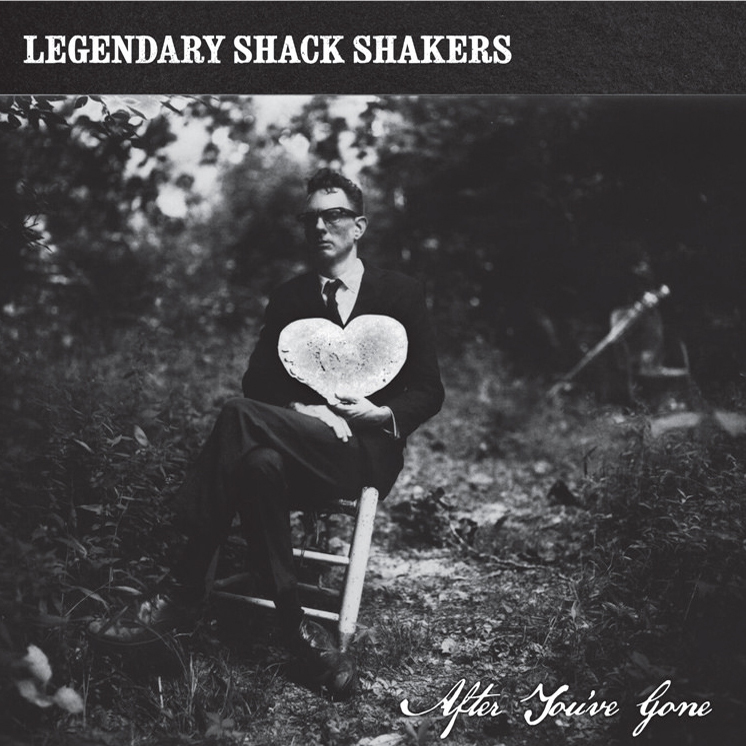 As Shakers fans have come to expect, After You’ve Gone is a rocking, bluesy assault with some rockabilly overtones. This album comes closer in sound and raw spirit to roots-punk pioneers The Gun Club than past Shack Shakers efforts. Though the music is more upbeat than Fire Dream, much of the subject matter, sparked by Wilkes’ divorce, is the personal, confessional kind of material that you might expect on a solo album. The sax-augmented “War Whoop (Chief Paduke’s Revenge)” is pure anger. In the title song, Wilkes states his case clearly: “This place just ain’t the same/And I’m calling out your name/Just an empty echo/After you’ve gone.” And the hyped-up “Get Out of My Brain” shows just how hard a haunted psyche can rock. “You’re welcome to my heart, but stay out of my brain,” Wilkes pleads. One of the most interesting cuts here is a cover song — a Bo Diddley-on-diet-pills version of a hillbilly classic, “Single Boy.” Usually this is done as “Single Girl” with a female singer. That’s how The Maddox Brothers and Rose recorded it back in the ’40s. And that’s how The Dirt Daubers recorded it with Jessica Wilkes singing just a few years ago. I’m not sure whether this is Wilkes thumbing his nose at his ex, or if it’s a private joke between them. Or what. A little more subtle is the final song, “Invisible Hand,” in which Wilkes sings a pretty melody backed by what sounds like a player piano. And that melody seems hauntingly familiar. It took me a minute or two, but I realized that the melody is dangerously close to “Trucks, Tractors and Trains,” another Dirt Daubers song that Jessica sang. The Daubers did it upbeat in a jaunty bluegrass style. But the After You’ve Gone version is slow and sad. Fire Dream shows a man still standing, made stronger by his musical roots. After You’ve Gone shows the storm he has endured. * Los Lobos returns to Santa Fe Friday night, Feb. 9,with a 7:30 p.m. concert at Santa Fe Community Convention Center. The show is a benefit for the Española Valley Humane Society, which gets 100 percent of the proceeds. Tickets are $35 in advance; $40 at the door; and $100 (which includes a meet-and-greet with the band). Get tickets at holdmyticket.com. Let's start with the official video for Wilkes' "Walk Between the Raindrops"
Here's a live recording of "Wild Bill Jones"
The Legendary Shack Shakers "Curse of the Cajun Queen"
A cool cartoon for "Sing a Worried Song." And here is The Dirt Daubers' "Single Girl"